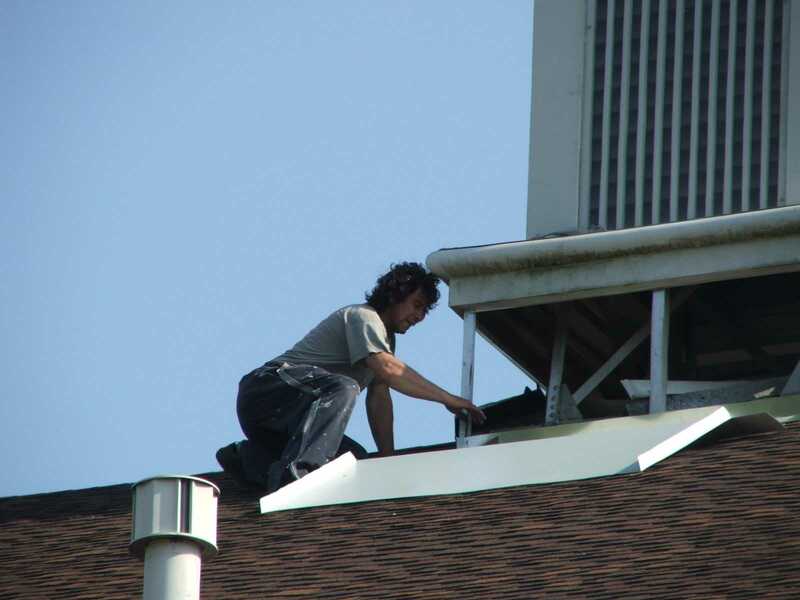 The constant exposure to the harshest of elements can have devastating results on your church's steeple, tower, spire and finials. 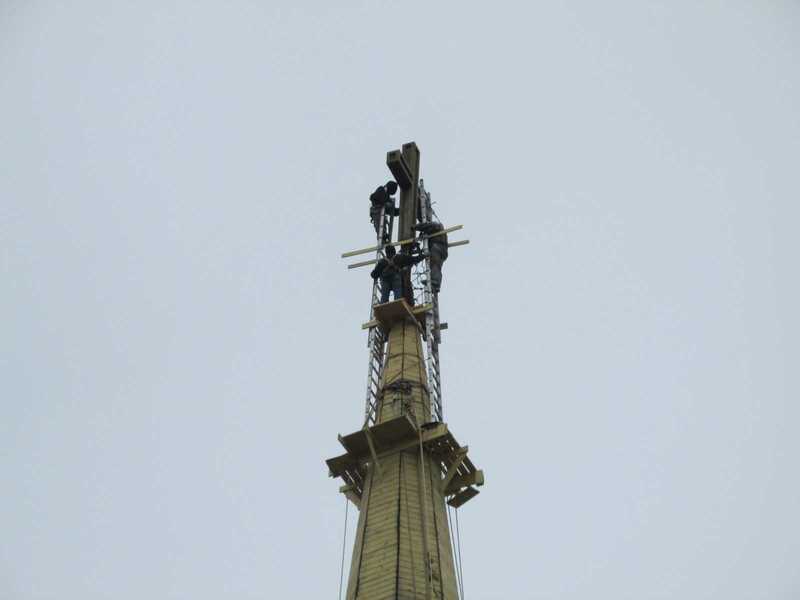 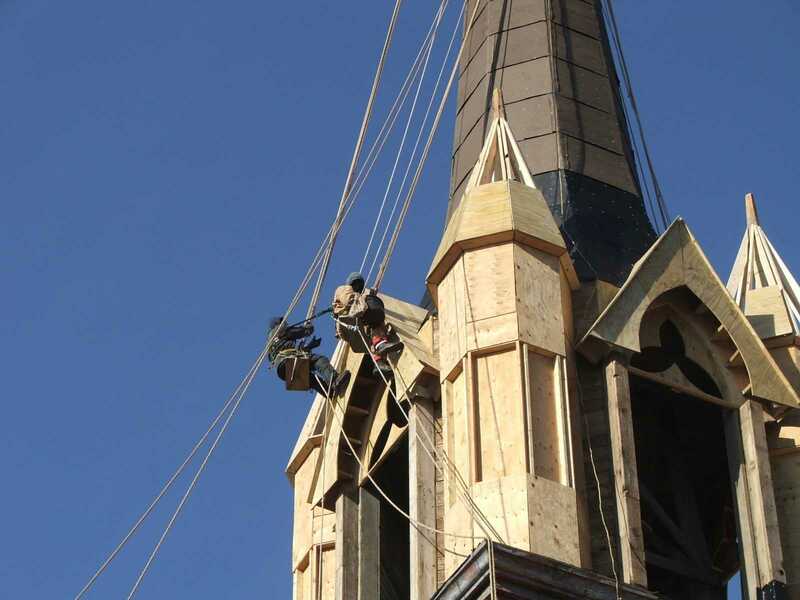 As a steeplejack contractor our trained professionals are able to repair, rebuild and restore your church's high work with the up-close approach of a steeplejack. 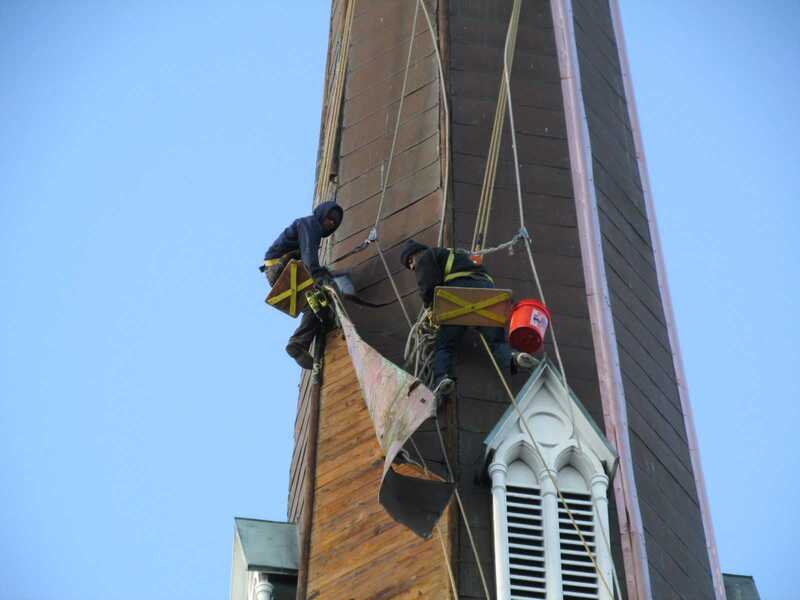 The steeplejack techniques we use on church steeples allow us to access and repair what may be inaccessible to most other tradesmen. 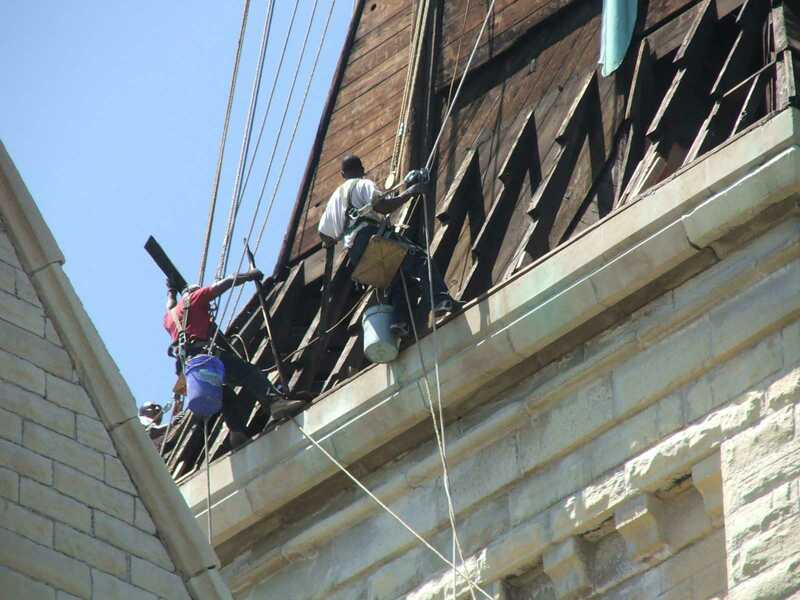 For this reason we often hear that other contractors said it couldn't be done.